What parts of the body are affected in bursitis and tendintis? Tendinitis causes pain and tenderness just outside a joint. Some common names for tendinitis identify with the sport or movement that typically increases risk for tendon inflammation. They include tennis elbow, golfer’s elbow, pitcher’s shoulder, swimmer’s shoulder, and jumper’s knee. Some common examples follow. Tennis elbow refers to an injury to the outer elbow tendon. Golfer’s elbow is an injury to the inner tendon of the elbow. These conditions can also occur with any activity that involves repetitive wrist turning or hand gripping, such as tool use, hand shaking, or twisting movements. Carpenters, gardeners, painters, musicians, manicurists, and dentists are at higher risk for these forms of tendinitis. Pain occurs near the elbow, sometimes radiating into the upper arm or down to the forearm. Another name for tennis elbow is lateral epicondylitis. Golfer’s elbow is also called medial epicondylitis. If a person overuses a tendon during activities such as dancing, cycling, or running, it may elongate or undergo microscopic tears and become inflamed. Trying to break a fall may also cause the quadriceps muscles to contract and tear the quadriceps tendon above the knee cap (patella) or the patellar tendon below it. This type of injury is most likely to happen in older people whose tendons tend to be weaker and less flexible. Tendinitis of the patellar tendon is sometimes called jumper’s knee because in sports that require jumping, such as basketball, the muscle contraction and force of hitting the ground after a jump strain the tendon. After repeated stress, the tendon may become inflamed or tear. People with tendinitis of the knee may feel pain during running, hurried walking, or jumping. Knee tendinitis can increase risk for ruptures or large tears to the tendon. A complete rupture of the quadriceps or patellar tendon is not only painful, but also makes it difficult for a person to bend, extend, or lift the leg; or to bear weight on the involved leg. If you are an athlete who is suffering from pain and discomfort right at the front of your foot, seeing a doctor would be your top priority. Injuries are among the top factors that keeps players on the sideline for a long period of time. Aside from being unable to play due to the difficulty with the affected part of the human body, rest is highly required by the body itself to rejuvenate and heal properly. Schedule a checkup and physical examination with your doctor at the first sign of pain to prevent the aggravation of the health issue. Extensor tendinitis or popularly known as extensor tendinopathy is what medical professionals call the inflammation of the extensor tendon at the front of the foot. In most cases, doctors check for metatarsal fractures in case the patient is suffering from this type of injury as some cases include damages on one of the metatarsal bones of the foot. Assessment and diagnosis from a medical professional can rule out the exact injury of a person and cut off any assumption of the wrong type of injury. Conservative treatments are the commonly practiced methods in the restoration of the condition and function of an extensor tendinitis. Although this may be the most popular and utilized technique in most countries around the world, there are alternatives and other methods that can be used on the patient. As long as the methods of treatment are approved by the doctor, there is no reason why they can’t be used for the healing and rehabilitation process of the patient. Below is a list of simple things you can expect when under the conservative treatment methods. • Rest – you do not have to do complex methods in order for your body to heal and rejuvenate. All you have to do is to stop training if you are an athlete and give the affected area of the body a time to rest and recuperate from the injury. In most cases, two to four weeks of rest is enough to enable the tendon to recover from the injury. However, this would not be a standard as the doctor has many things to consider when it comes to prescribing the duration of rest. • Cold Therapy – whenever inflammation is involved in an injury, the simplest yet most effective method of keeping the condition minimal is by applying ice on the area affected by the injury. Not only does it help with the swelling, it also relieves pain at the same time. • Rehabilitation Programs – when it comes to regaining the range of motion, flexibility, and strength of the muscle tissues, stretching and strengthening are usually what makes up a rehabilitation program. This is inflammation of one or more of the 3 main hip bursae. The greater trochanter of the femur bone. Symptoms of trochanteric bursitis include pain at the outside of the hip that may go down the thigh to the knee. an infection in the area. More on causes of bursitis and tendinitis. In a previous article I discussed what bursitis is and why it develops. In this article I’ll talk about some of the more common types of bursitis. Let’s start from the top and work down. 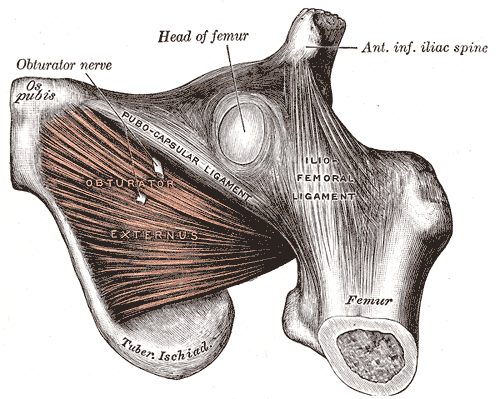 In the shoulder there is a large bursa called the subdeltoid bursa. This sits underneath the deltoid muscle which lies on the side of the upper arm at the shoulder. This is also called the subacromial bursa. Bursitis in this area presents with aching soreness in the shoulder that is aggravated by movement. Pain is present at night also. Overactivity is the usual cause and it’s common for rotator cuff tendonitis to coexist with this type of bursitis. 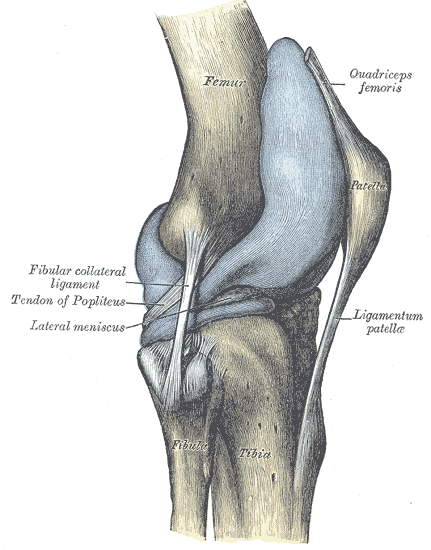 The olecrenon bursa is located at the tip of the elbow. Bursitis can develop as a a result of excessive pressure (eg., leaning on the elbow on a hard surface) or after significant trauma. One complication of this type of bursitis is that it can be become infected. The usual organism associated with septic bursitis is staph aureus. The treatment for septic bursitis is to drain the affected bursa and treat with antibiotics. Oral antibiotics usually work but intravenous antibiotics are sometimes needed. The hip is an area where a number of different types of bursitis can occur. Prolonged sitting on a hard surface leads to ischiogluteal bursitis. This is a nagging type of bursitis located in the buttock region. Iliopectineal bursitis is located in the groin area and is aggravated by walking, running, and going up stairs. Trochanteric bursitis is located at the outside of the hip. This type of bursitis often occurs in overweight people and is aggravated by walking, going up stairs, and lying on the affected side. Gluteus medius bursitis looks a lot like trochanteric bursitis. The location is usually a bit posterior to the trochanteric bursa. Bursitis in the knee can be located either in front of the patella (prepatellar bursitis) or just below the knee along the inside of the upper part of the lower leg bone (tibia). This is called anserine bursitis. Prepatellar bursitis, as is the case with olecrenon bursitis, can become septic. Bursitis in the ankle can occur at the back of the heel beneath the Achilles tendon. Usually overactivity such as running too much can cause this type of bursitis. Rest, ice, and sometimes anti-inflammatory drugs are useful. Steroid injections should be used with great caution in this area because of the possibility of weakening the Achilles tendon. This situation can lead to rupture of the tendon. Bursitis occurring at the base of the fifth toe is called a bunionette and bursitis occurring at the side of the large toe is called a bunion. Osteoarthritis is the usual underlying cause of the bursitis. Special padding and injections of glucocorticoids are helpful treatments. Patients with inflammatory diseases such as gout or rheumatoid arthritis can also develop bursitis. Any patient with recurrent bursitis should be evaluated for an underlying condition that may be predisposing them to getting bursitis. The diagnosis of bursitis and the treatment is not an easy one. A well-qualified rheumatologist or orthopedist should be consulted. If injection is required, ultrasound needle guidance is recommended. Nathan Wei, MD FACP FACR is a rheumatologist and Director of the Arthritis and Osteoporosis Center of Maryland. He is a Clinical Assistant Professor of Medicine at the University of Maryland School of Medicine. 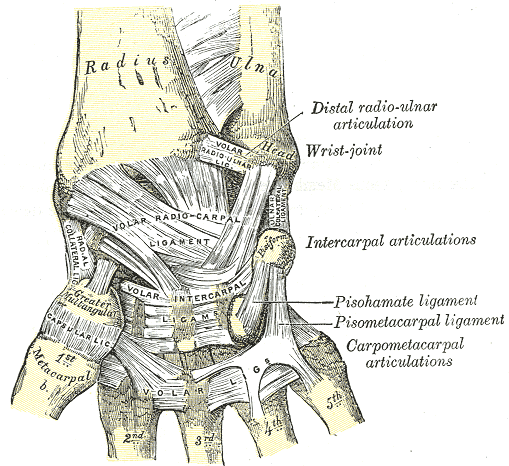 Ligaments of wrist. Anterior view. 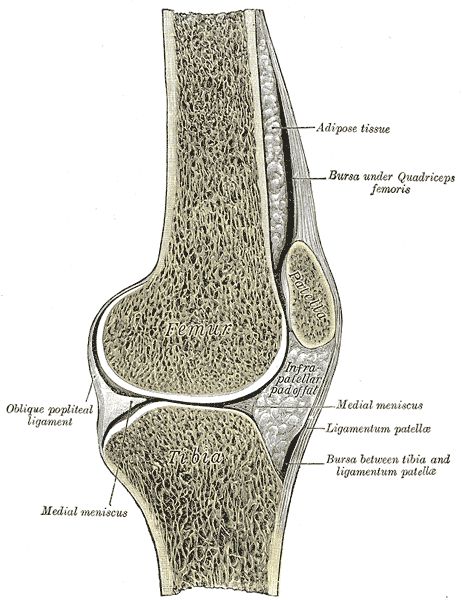 Synovial bursa: Within the knee joint: bursae visible top right and bottom right. Gray's Anatomy. Capsule of right knee-joint (distended). Lateral aspect. Gray's Anatomy.